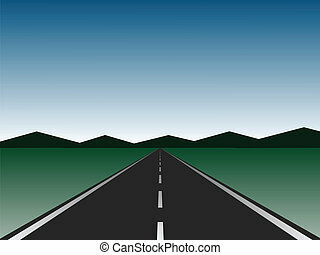 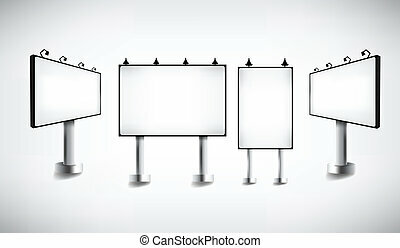 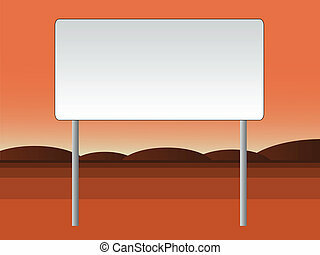 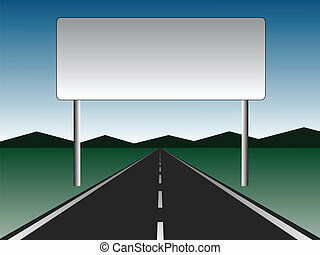 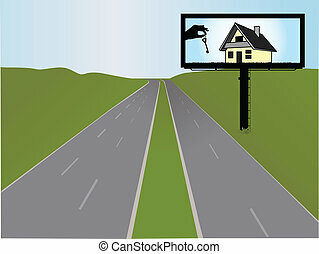 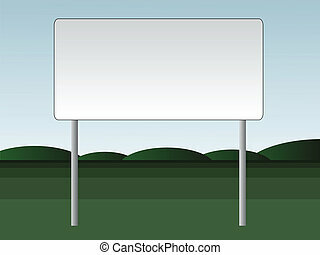 Empty road - empty billboard. 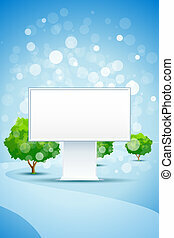 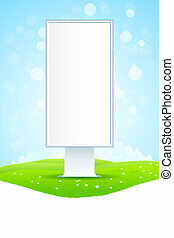 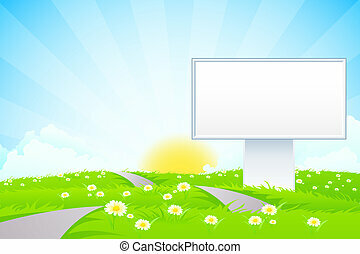 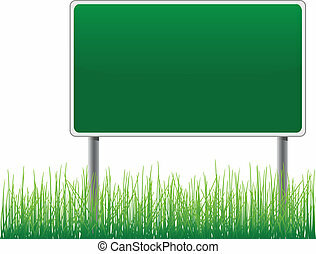 Empty billboard grass below vector. 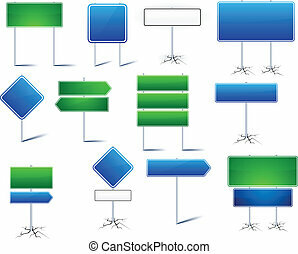 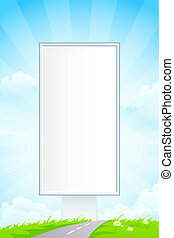 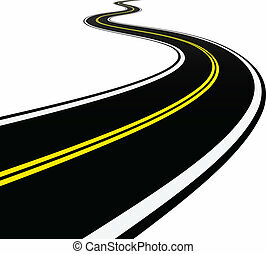 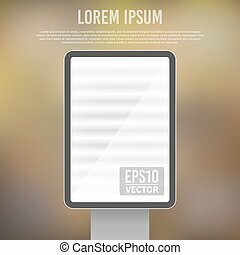 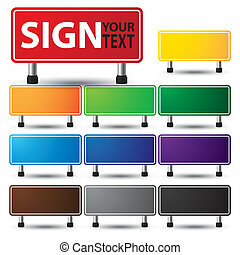 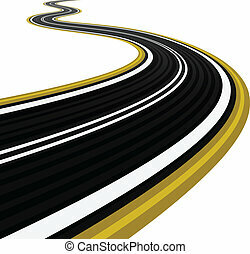 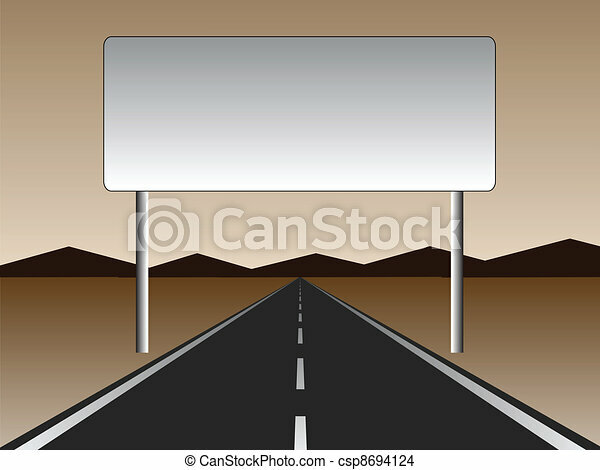 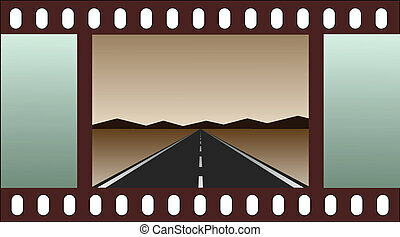 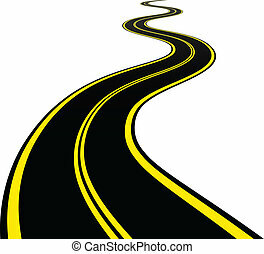 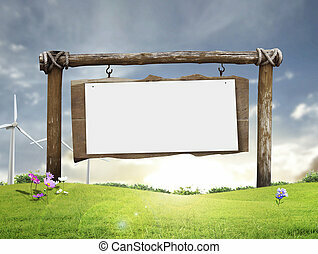 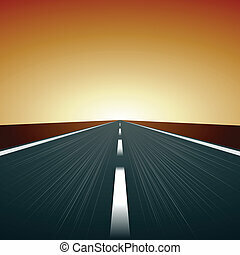 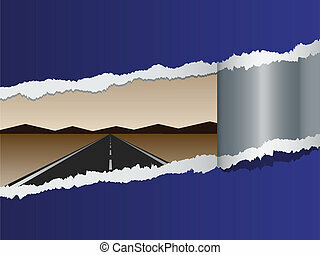 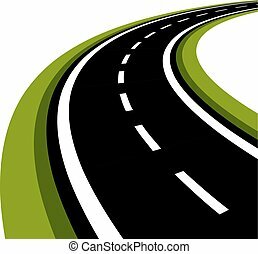 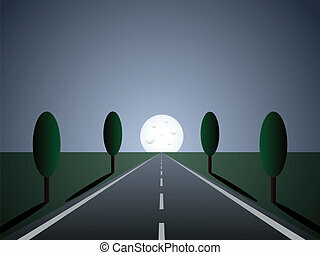 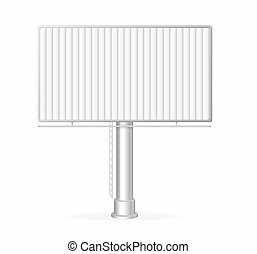 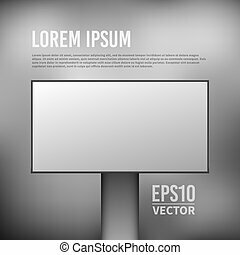 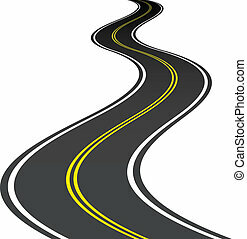 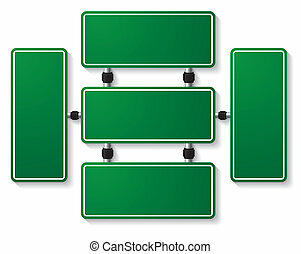 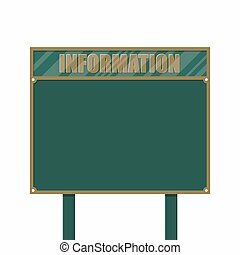 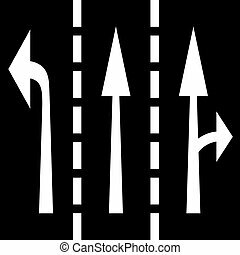 Vector illustration of road signs with blank frames for any text.